SKU: PAA06. 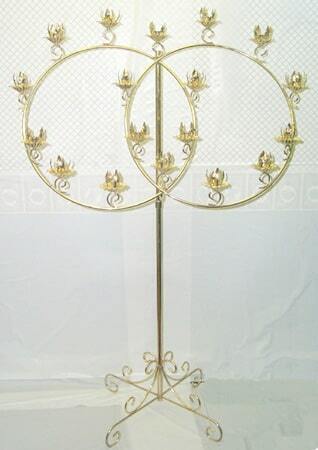 Categories: Party & Event, Wedding, Candelabra. Tags: 18 branch, brass, candelabra, double ring, wedding. 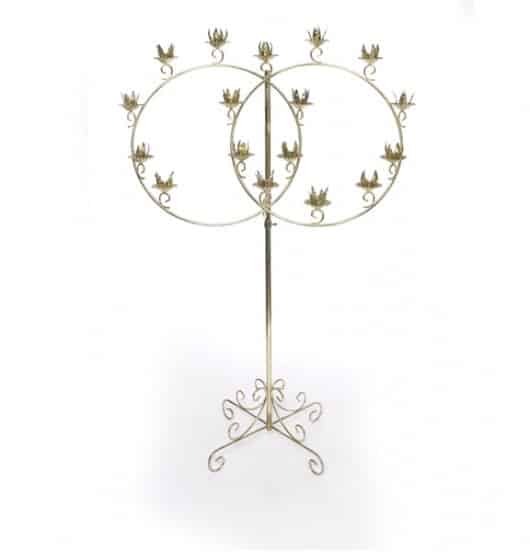 These mechanical candles are 15″ in length and are a metal exterior candle with a spring loaded, drip-less candle inside. Mechanical candles are required by most churches and makes it so you don’t have little stubs of candles at the end of the ceremony for pictures. These are also available in a battery operated form for those buildings that will not allow flames of any type.